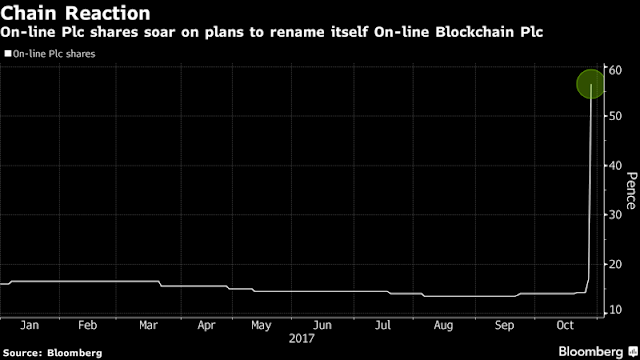 EconomicPolicyJournal.com: Attention Jamie Dimon: Rename Your Bank "The Blockchain JPMorgan Chase"
Attention Jamie Dimon: Rename Your Bank "The Blockchain JPMorgan Chase"
A British company that has been investing in internet and information businesses had its best day on record last Friday. 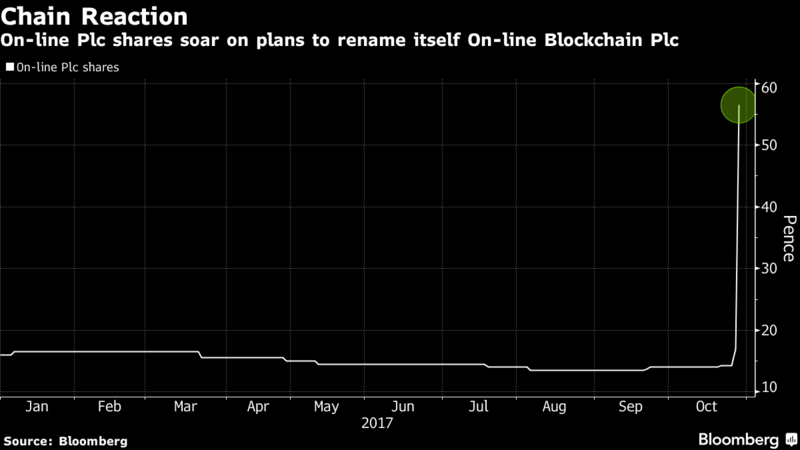 On-line Plc jumped as much as 394 percent after announcing plans to change its name to On-line Blockchain Plc, following an initial climb of 19 percent on Thursday when it first announced the news. It’s the biggest one-day gain for the small-cap company since its December 1996 listing. The trading volume that reached 2.9 million shares by early afternoon in London is equal to more than 16 times the entire year’s trading before the last two days. Yup, it sure looks like shrewd analytical money is flowing into this sector.